I do like to keep the blog up to date with my sewing and quilting whereabouts, but sometimes I just can’t get on the computer and write post. 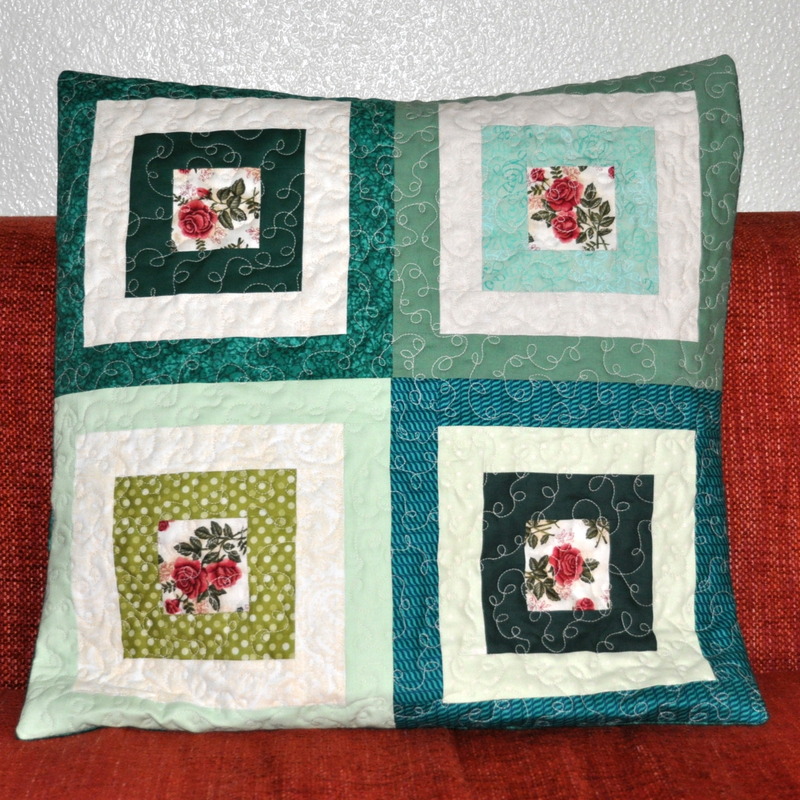 Anyway, I have finished 4 pillow covers for Mary. Mary wanted them in green hues and with log cabin blocks. I made 2 different sizes : 16″ x 16″ / 40 x 40 cm and 20″ x 20″ / 50 x 50 cm. The first one is by Alyssa from Pile O’ Fabric and I decided to take part. 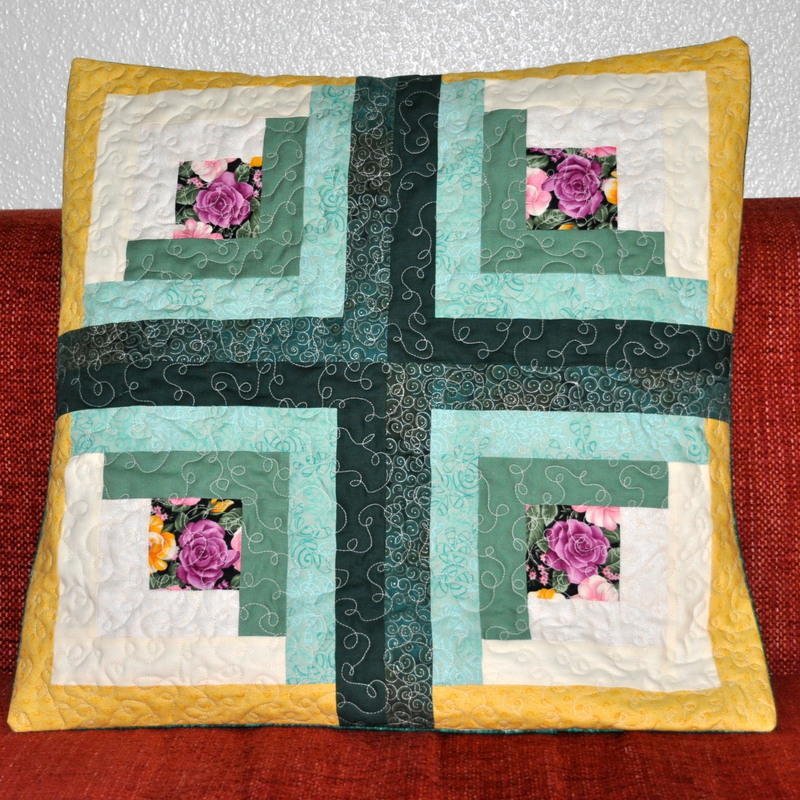 The quilt has a nice modern design, is a QAYG. 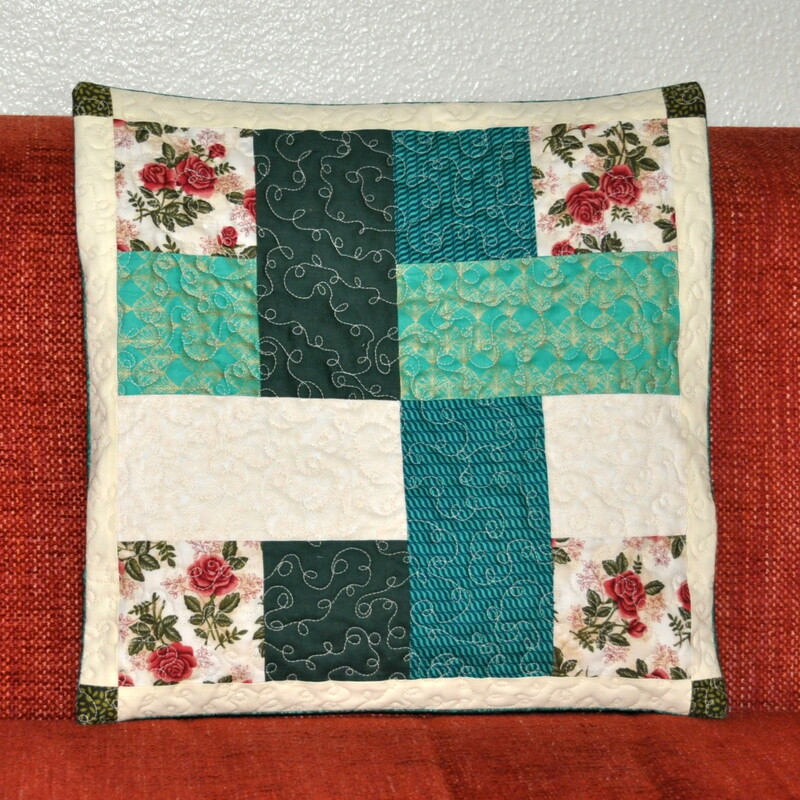 Here I can learn and practice free-motion quilting skills. Yesterday I decided on the colors I want to use for this project and Kona Solids have won. I have ordered a lot of FQs at The Village Haberdashery in the UK. The second project caught my eye because of the rectangular blocks and very different techniques. Find all details at the cute life under Something New Sampler. Linking with Better of Thread and Sew Cute Tuesday. Have a look on the website – maybe you can find some new interesting blogs!! 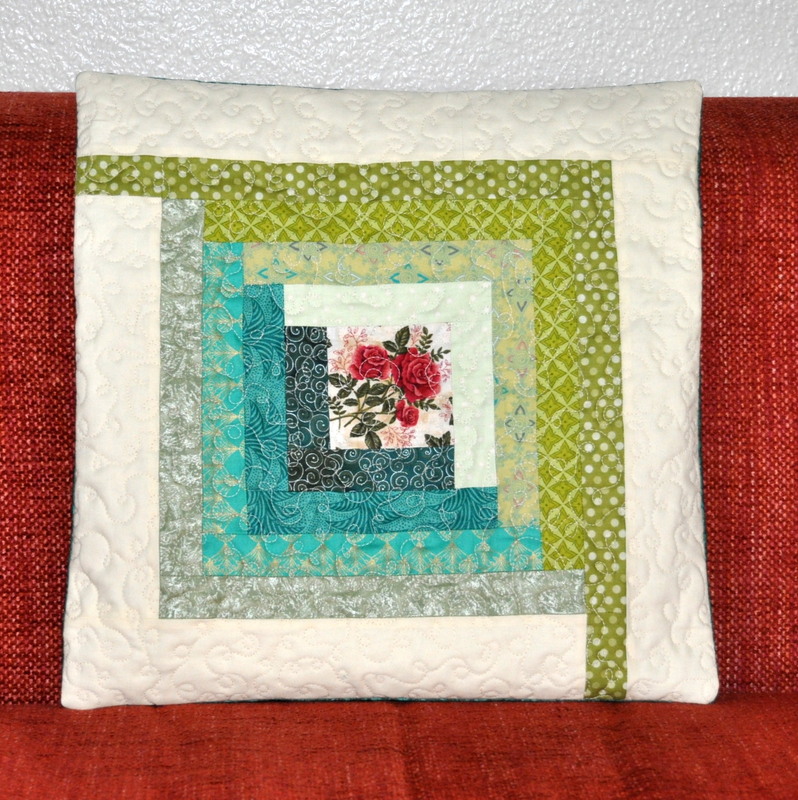 This entry was posted in blocks, inspiration, patchwork, small projects and tagged block, log cabin, pillow case. Those are great pillows, I love the greens and blues, and the different log cabin blocks.